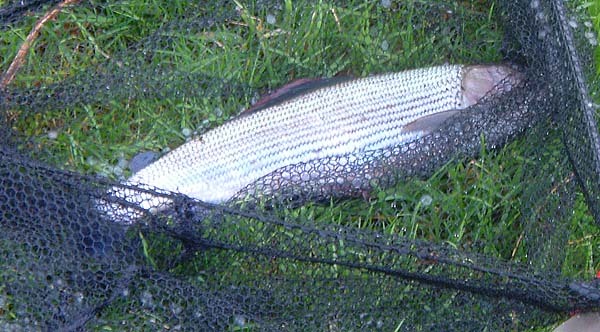 The other day my pal Nigel rang to say that he had been catching some decent grayling from our local river. In fact he had taken a pal down fishing and on his first trip the 'novice' had landed fish of up to three pounds - amazing. 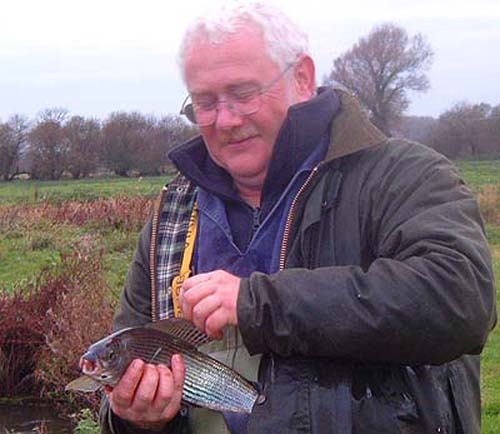 Even more surprising (to me at any rate) was the fact that the grayling had refused maggots but had taken sweet corn as if it was going out of fashion. Anyway, Nigel and his son Joe were going to have another afternoon on the same stretch and I thought I'd pop along for a chat and to observe how they were doing it. 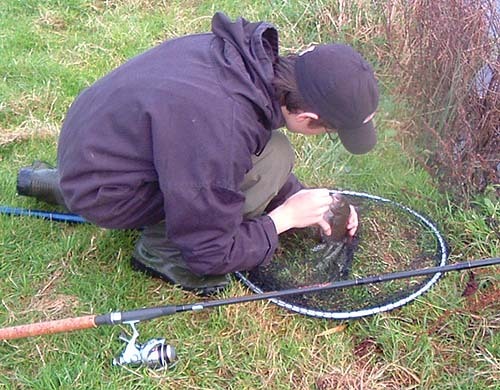 Sure enough, as I arrived, Nigel's rod was bent and he was playing a grayling. 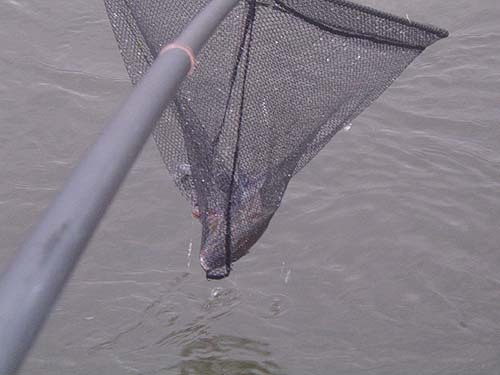 I picked up the net and helped him to land the fish. To cut a long story short Joe and Nigel had a number of fish ranging from about half a pound to something near two pounds in the hour or so that I watched them. They were float fishing or feeder fishing but most of the fish took the float fished corn. I tried piking for a short while but there was no sign of a pike. 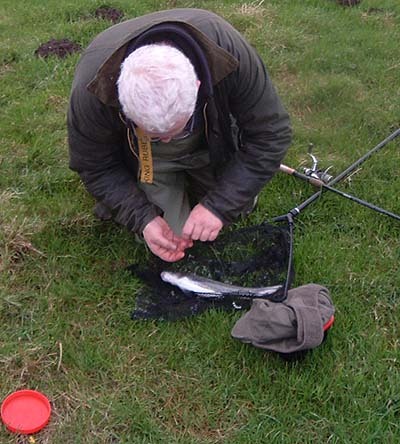 Later in the week I tried sweet corn on another stretch but although I landed quite afew dace I did not see hide nor hair of a grayling. I'm sure that they are there but obviously not where I was fishing. Anyway I'll try on another day and with a bit of luck I'll catch one (ever the optimist). 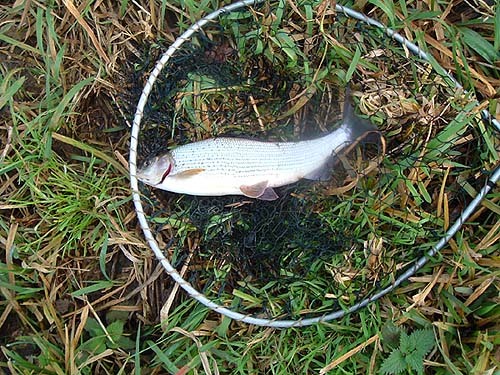 There's no doubt that grayling are wonderful fish and fight every inch of the way to the net. Anyone who wants to fish on the Frome for these fish could try contacting the membership secretary of Dorchester and District Angling Society John Parkes on 01305 262 813. I eventually caught one or two..